I bet, just like me, your heart breaks when you hear news stories about intolerance and violence towards Muslims around the world and at home. I bet, like me, you want to make sure you bring up your children to be compassionate global citizens who value the differences and similarities between communities. 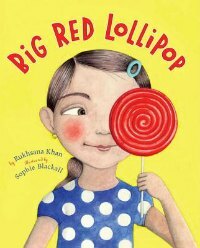 One way to teach inclusion is to read picture books that depict all types of people. 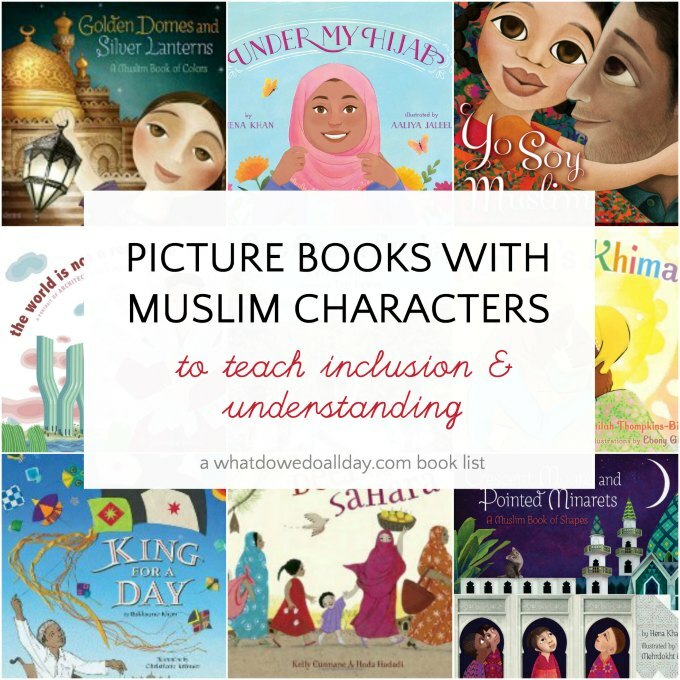 This list of children’s picture books with Muslim characters serves two purposes. The first is that it helps makes the Muslim community visible to others. If non-Muslims are shielded from seeing other cultures, religions and ethnicity in picture books, they will remain isolated. Second, and I can’t stress this enough, Muslim boys and girls deserve to see themselves in picture books! Non-Muslim children will benefit by not always seeing themselves as the center of all activity. I also didn’t want to make a list of books that only showed Muslim children in stressful situations. 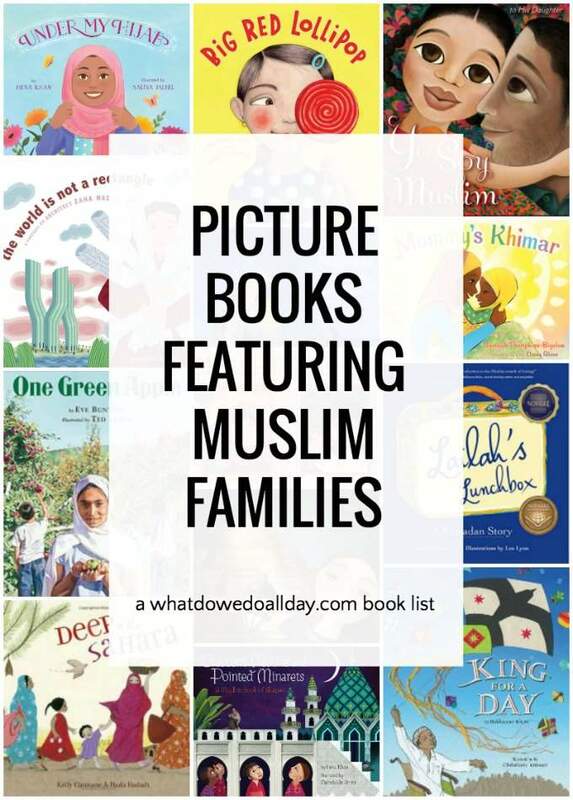 Most of the Muslim children’s books on this list depict children in everyday situations, experiencing joy in their identities and dreaming about their futures. So don’t let picture books continue to reinforce boundaries between people who are more alike than different. We can learn to appreciate our differences and rejoice in our similarities. To help you, I’ve divided the list into several sections, but there is much cross-over. Happy reading! (Note: book covers and titles are affiliate links. Under My Hijab by Hena Khan. What a delightful book filled with strong female role models! A girl narrates her observations of how six women in her life wear (or don’t wear) the hijab. The women are shown in a variety of occupations both at work and at home. At the end of the book, the narrator tries on her own hijab and looks forward to her future and how and when she will wear the hijab. Mommy’s Khimar by Jamilah Thompkins-Bigelow. A young girl admires the scarves her mother wears. She takes joy in looking through the closet, dancing with them, trying them on and imagining the possibilities of when she will wear her own. No matter what the reader’s background, every child will see themselves in the young narrator as she celebrates the khimar and the loving relationship she has with her mother. 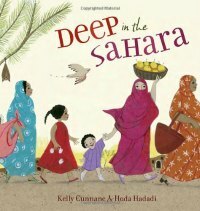 Deep in the Sahara by Kelly Cunnane. I love the wonderful, vibrant illustrations in this book about a Mauritanian girl who envies the malafa worn by the women around her. She longs for the day that she, too, can wear the colorful garment. She wonders about how the malafa will make her feel—will it make her feel beautiful or mysterious? Finally, when she understand the malafa‘s true purpose is one connected to faith, her mother lets her don the malafa. 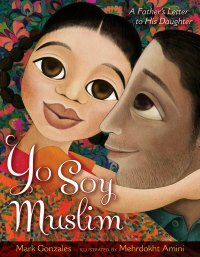 Yo Soy Muslim: A Father’s Letter to His Daughter by Mark Gonzales. The narrative is written as a letter from a father to his daughter, but it reads like a poem. The father recognizes that his child will have questions about who she is and what she can accomplish. Celebrating their shared faith and culture and language, the father’s letter aims to give his daughter confidence and pride in her identity as a Latina and as a Muslim. 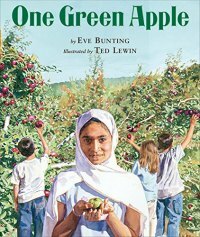 One Green Apple by Eve Bunting. During a class trip to an apple orchard, Farah, a Muslim girl who has not yet learned English is nervous about her new classmates. In her first person narrative she reveals that she knows there are tensions between her former home and her new country and she is uncertain if her classmates will welcome her. Eventually, however, one other student befriends her and the connection is made. That show of kindness spills over into the rest of the kids. Lailah’s Lunchbox by Reem Faruqi. It is the start of Ramadan and Lailah is finally participating in the daytime fast. Although she is excited that she is old enough to fast, she feels anxious that her new classmates will not understand. She goes to the school library during lunchtime where the librarian helps her express how she feels in a way that she can share with her classmates. 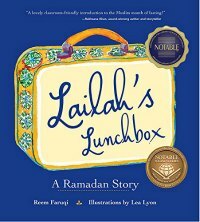 Not only is this an excellent book to explain the Ramadan holiday, but since most children feel “different” from the peers at one time or another and the message in Lailah’s Lunchbox will be understood by all. 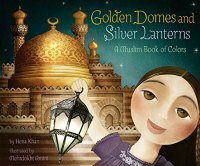 Golden Domes and Silver: A Muslim Book of Colors by Hena Khan. Absolutely gorgeous illustrations take children on a tour of the Muslim world in this celebration to colors. The family depicted in the book appears to live in a Western country, while Islamic items such as the mother’s blue hijab, or the father’s red prayer mat provide the color inspiration. I like this juxtaposition, which allows children to see different traditions living side by side. A glossary of terms is included. Crescent Moons and Pointed Minarets: A Muslim Book of Shapes by Hena Khan. Like the companion book (see above), this title uses cultural symbols of Islam to teach kids about shapes and the illustrations are just as gorgeous. I also found it surprisingly peaceful to read! Malala, a Brave Girl from Pakistan/Iqbal, a Brave Boy from Pakistan: Two Stories of Bravery is actually two books in one. Both extraordinary protagonists figure in the fight for the rights of children. Malala, who survived an assassination attempt, was the recipient of the 2014 Nobel Peace Prize. Iqbal fought for child-labor rights in Pakistan but was tragically shot and killed at the age of 12. The stories are well written with simple, yet effective text but parents may decide the seriousness of the subject matter means this book is best for older kids. The World is Not a Rectangle: A Portrait of Architect Zaha Hadid by Jeanette Winter. Born in Iraq, and educated in London, Hadid designed fascinating and artistic buildings around the world. But as a Muslim woman, the road was not easy and she had to overcome the hurdle of prejudice. 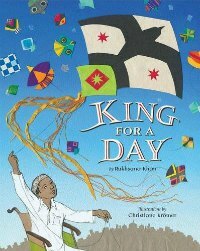 This biography is written simply, making it a great choice for the early elementary set. Make sure to look at photographs of Hadid’s beautiful buildings, too. The Librarian of Basra: A True Story from Iraq by Jeanette Winter. When war threatens to destroy Alia’s precious library collection, which includes rare editions, she bravely works to move 30,000 volumes to safety. This is a powerful story about courage and determination. The Grand Mosque of Paris: A Story of How Muslims Rescued Jews During the Holocaust by Karen Gray Ruelle and Deborah Durland Desaix. 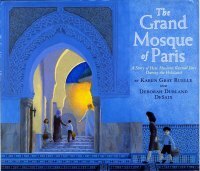 Children ages 8 and up will be intrigued by this historical account of how a community of Muslims in Paris gave sanctuary to Jews in their mosque under the leadership of Si Kaddour Benghabrit. The Muslims provided passports and a means of escape. In the afterward, the authors note that it was difficult to find many details surrounding the events but that the story is hopeful and further evidence that despite the differences in the people who worship the Abrahamic religions, they are all part of humanity and thus worth saving. And the illustrations are fantastic. I’ve been following your newsletters for a while now. Appreciate all your nice information, books, activities and ideas. But this one is different for me. You are so kind and thoughtful to think of this issue. In the times that we need more love and understanding, empathy for eachother. I want to thank you from the bottom of my heart as a Muslim mother who’s trying to rise two kids in a different culture and geography. I hope you’ll meet kind people like yourself in life.